Fun, flexible, bespoke small group women’s tours. We aim to assist you to expand your horizons, build confidence, form enduring friendships and have a fabulous time doing so! Women from of all walks of life are warmly welcomed and encouraged to join our tours and enjoy taking time out for themselves. Voted as one of the 101 Must Do’s for Kiwis. Hidden away from the masses and rarely explored by Kiwi’s is the spectacular ‘New Chum Beach’, which ironically has been voted as one of the world’s top 10 beaches! New Chum was also voted 60th of the 101 Must Do’s for Kiwis. This stunning stretch of golden sand is fringed by Pohutukawa and native forest and is deserted for most of the year. 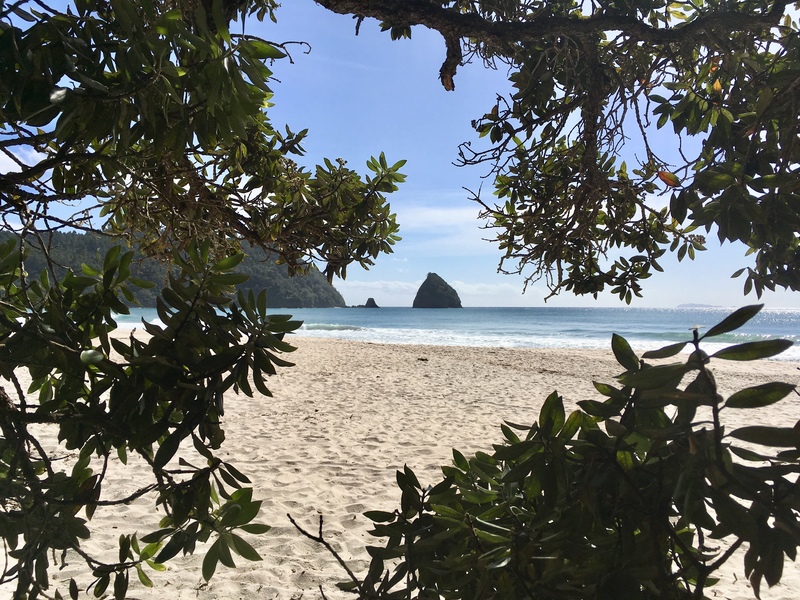 New Chum beach embodies ‘The Coromandel good for your soul.’ This protected beach has no buildings, no roads, no infrastructure or camping – it is a jewel in New Zealand’s coastal crown. This is a must do if your visiting the Coromandel, though access can be tricky if you have’t got transport. Time ceases to exist once your feet hit the beach at New Chum. There is a quality of stillness and silence to this place. It is a quality that has become so rare in today’s noisy cluttered world, that you may not know you’re craving it until you get there. New Chum beach, hidden away in The Coromandel is a prehistoric piece of paradise. It is off the beaten track. You do have to go out of your way to find it. But like anything worthwhile, the effort is worth it. Experience it for yourself. I will pick you up from your accommodation on the Peninsula a spend the day traveling like a local exploring our beautiful Coromandel. The day trip to New Chums is 100% time dependent on the tide, as access is best when the tide is low. This will give us time to chill on this stunning beach, take a dip before our return before the tide comes back in. This is a flexible day, stopping freely at local, shops and crafts spots, cafes and site along the way. We will stop for lunch at one of the local recommended top spots. I’ll safely return you to your accommodation after a brilliant day out exploring. Cost $180.00pp NZ-min x2pp, traveling alone? That’s OK- get in touch to discuss. Due to the site of this beach pick ups are to be discussed prior to tour to allow for time to get to our location. A fun, flexible tour allowing you the time to enjoy our playground here in the Coromandel. We will visit local boutique breweries and wineries, sample local produce in our tasty food spots, walk some of the most scenic tracks NZ has to offer and view word renowned landmarks, all the while interacting with the interesting and character-filled locals. Valley to Beach encompasses two and a half days of exploring the hidden wonders of the gorgeous Coromandel Peninsula. These tours have a great degree of flexibility, with the ability to swap the days’ activities depending on weather. Kiwi vibe style accommodation in beautiful rural setting. In order to facilitate a group environment and encourage getting to know each other, the accommodation is shared. Not Included: Additional food and drinks, transfers (can be arranged – just contact us) optional extras. Getting to pick up point. DAY ONE; Pick up Thames Info Center; Karangahake Gorge. Here we walk the track to the Windows and see the remains of gold mining settlements, before stopping at Ohinemuri Winery & Restaurant for a refreshment. We then head on to Waihi township and learn a little more about the town’s rich gold mining history. 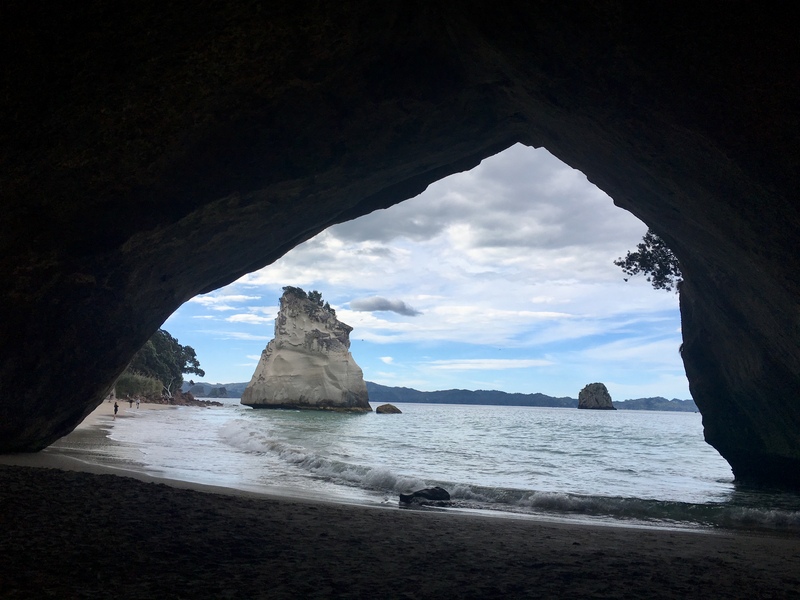 DAY TWO; Cathedral Cove and Hot Water beach – two absolute favorite spots for both tourists and locals alike. There is a gentle 40 minute hike to Cathedral Cove, so make sure you’re comfortably dressed. After enjoying these two stunning spots, we stop for a much needed thirst quench at the famous Coroglen Tavern or the Pourhouse, depending on time, availability and the group preference. Our ride back home will take us along the 309 road gravel connecting road, stopping along the way to visit the beautiful Kauri grove and see these towering, majestic trees up close. We continue along the road and visit a colourful local, Stu, and his gorgeous wild pigs. Tonight we dine in true casual Kiwi style, with a traditional Kiwi BBQ dinner at the retreat. DAY THREE; Thames-Local Grahamstown markets, where you can purchase everything from fresh farmer’s produce, to artisan cheeses and Bavarian pretzels, to handicrafts from the locals.The Information Center is the pick up and drop off point. 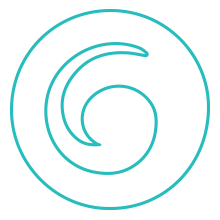 Small Group – maximum 6 women. Travel like a local not a tourist on personally guided tours. Fun, and flexibility allows you the time to enjoy our playground here in the Coromandel. The beautiful Kaurangahake Gorge is yet another “must do” while on the Peninsula. Some back ground info; Come explore the breathtaking Karangahake Gorge with it’s walkways, old tunnels, and discovered the rich history hidden in the gorge and cycle the Hauraki Rail Trail. Not only is this one of the most stunning stretches of river in the country it was home to one of the busiest and most lucrative gold-strikes in the country. The Windows Walkway would have to rate as one of the most stunning in the area with windows blasted through the gold mining tunnels providing stunning views into the Waitewheta river. This personally is my favorite track, and easily walked. Karangahake Gorge is a resilient place. Even the spindly pines clutch firmly to their rocky origins. One cannot help but be impressed by the magnitude of what the workers of the time achieved. The scale of industry contained within the area is massive, and more can be seen on The Karangahake Gorge Historic Walkway. Shared with part of the Hauraki Rail Trail, this track follows the old Paeroa to Waihi railway line along the banks of the Ohinemuri River. Old mining equipment, buildings and sites can be seen from various vantage points along the path, with information panels offering a rich history. A highlight – and another chance to use the flashlight – is the exciting journey through the 1,100m Karangahake Tunnel. There will be plenty of options on which walk you would like to do, as well as lunch options like The Bistro At Falls Retreat,The Talisman, the historic Waikino Tavern or the Karangahake Winery; highly recommended, which are also welcome break for delicious local food and refreshments. I will pick you up from your accommodation, and spend the day exploring this beautiful gem just outside Paeroa. Cost; $180.00pp NZ-min x2pp, traveling alone? That’s OK- get in touch to discuss. 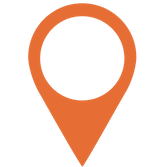 Pick up to be discussed prior to tour-pick up within 30km radius of tour location, or to be arranged. Private tours also available, get in touch to see how I can build a custom day out just for you! Coming soon a truly unique authentic cultural experience. Learn Maori traditions and protocol at our local Matai Whetu marae. Special event on in the Coromandel, want to go? Get in touch and I’ll inform you whats happening, and I’ll organize a fabulous day out for you. Here at Wanderlust Solo Women Tours we are believers in love in all forms, including that for the earth. As such, we run a conscious business, with eco and community efforts to make sure that we are treating everyone fairly and giving back to our planet. We are also strong supporters of ethical and eco friendly businesses and tourism.